One of the tangential paths I've been taking has been trying new strategies for tracking down elusive people - ancestors who just up and disappeared, but who I keep on looking for. Amazingly, I've had a little success on that front lately. 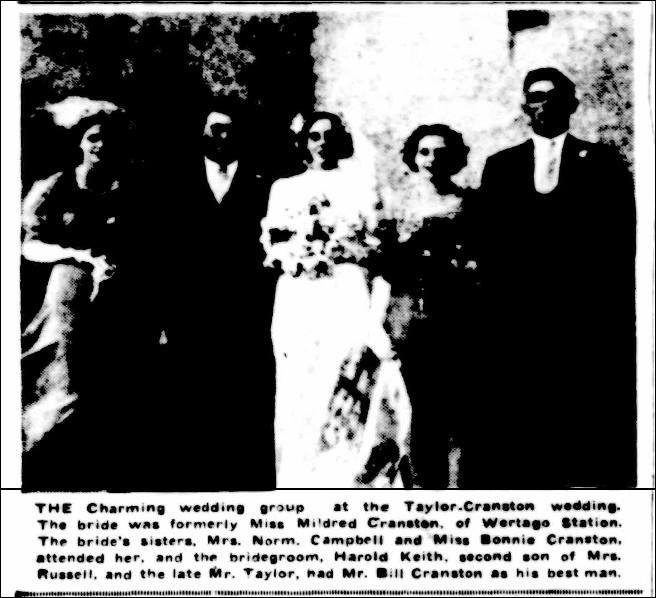 The first of these is Mildred Cranston. Mildred Cranston was born to W and L Cranston, later of Wertago Station, in about 1920. 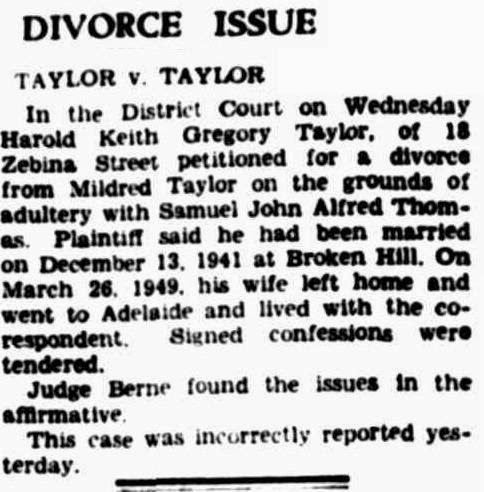 In 1941, amid much local media fanfare, she married Harold Gregory Keith Taylor at St. Peter's Church in Broken Hill. 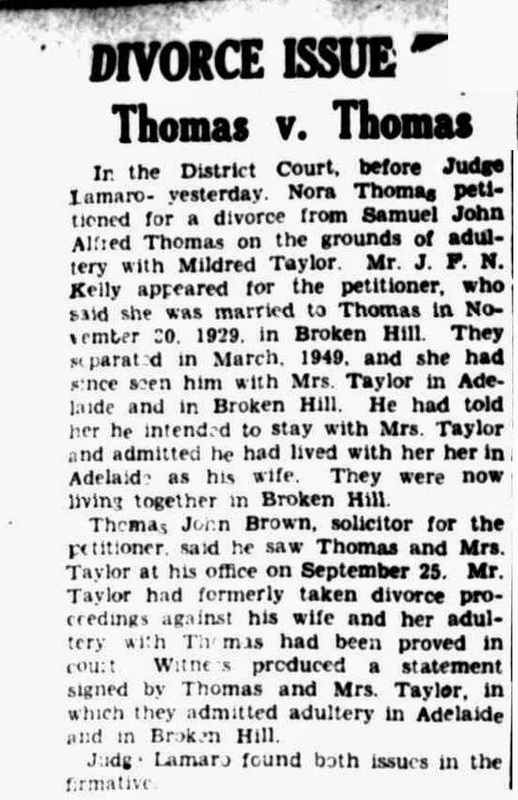 However, in 07 Dec 1951, Harold married again: this time to Elva Cain nee Moysey, a divorcee who lived up the road from him. Buuuut.... it's the Barrier Daily Miner, so of course the names were wrong! 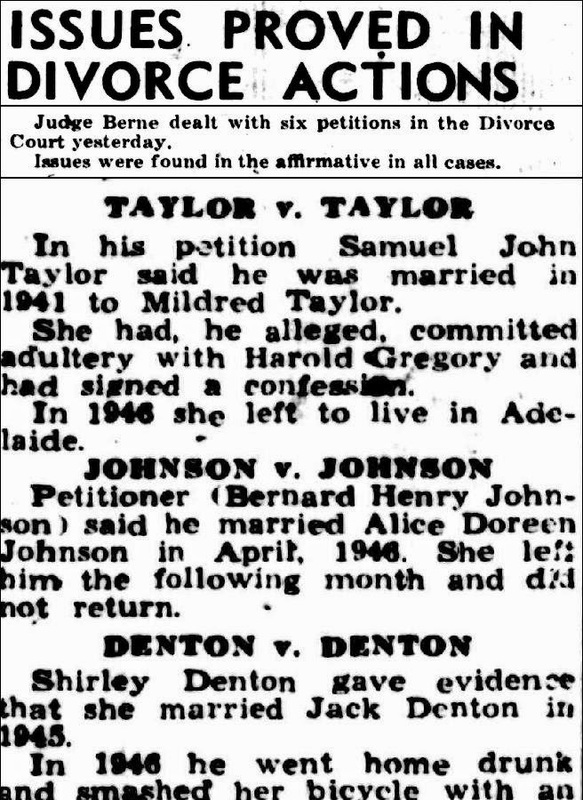 Barrier Daily Truth, 26 Oct 1950... no doubt use the extra day to get the names right!! 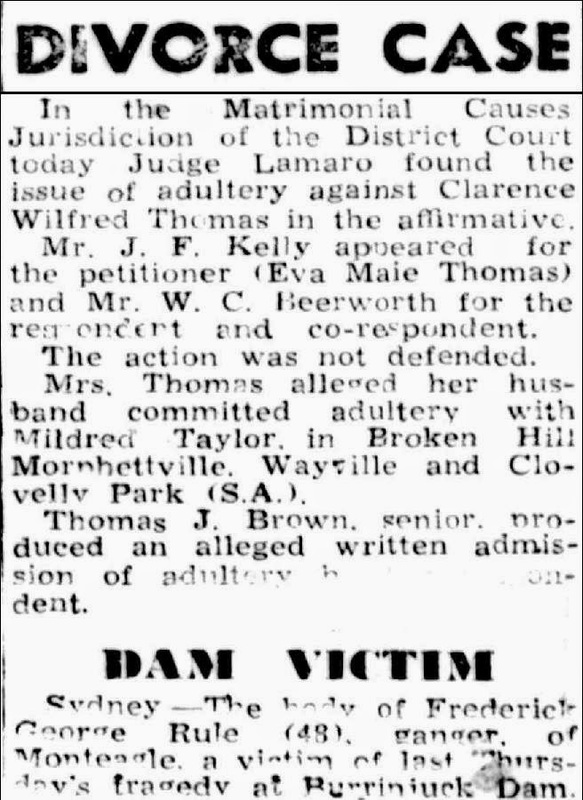 I still haven't found any marriage record between the two, given how recently this took place, but at least I was quite sure I should keep looking for Mildred Thomas. And... (another whaddya know), found her dying in Terowie on 24 Aug 1995. The reason that's a whaddya know, is because her son is buried in Terowie even though he died in Adelaide, and I'd never understood exactly how it was he came to be there! Two mysteries solved at once! I'll blog about the more complex break-through, Maude Howsen, next time.